Montgomery Mayor Sadaf Jaffer and the Montgomery Township Committee are pleased to share that NJ Families Magazine has selected Montgomery Township as the #1 Family Friendly Town in NJ for 2019. Montgomery Township tops this year’s list of more than 500 towns. In addition to a strong sense of community, the ranking reflected the high quality of Montgomery’s schools, its safety, and affordability. 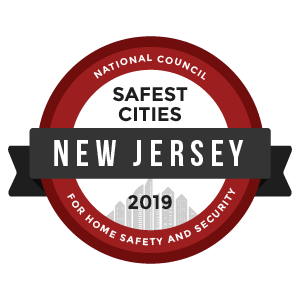 According to NJ Families Magazine Editor Dina El Nabli (as quoted by New Jersey 101.5), Montgomery has consistently ranked high every year this list has been done, earning super-high scores for schools, safety and affordability. It took the magazine six months to compile the 2019 list, considering factors including schools, safety, affordability, diversity and things that make life enjoyable and easier for families. For schools, El Nabli said, NJ Family not only looked at public school performance, but at items such as visual and performing arts, reviewing the complete offerings of the schools. For safety, the publication looked at violent and non-violent crime data. For affordability, El Nabli said, NJ Family looked at home prices to see how affordable it is to live in a certain town. Montgomery’s growing business community and plans for new shops and restaurants were also cited. “When you think of the Garden State, you think of a place like Montgomery. It’s got spectacular outdoor spaces. A third of it is preserved open space or farmland. It’s got historic landmarks. It’s just a bucolic, pristine, beautiful place on top of all the other great things about it,” said El Nabli.